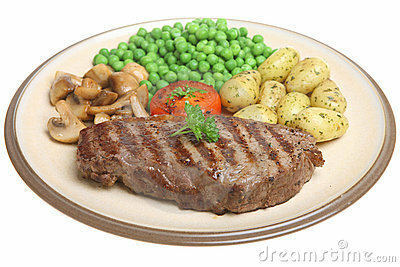 If you’re a vegetarian or vegan, that steak is metaphorical. I invite you to my table where you may not like everything set in front of you, but if you nibble just a bit, perhaps you’ll discover that we like the same things but not spiced quite the same way. I want us to walk away from the table with heavy sighs of satisfaction, not frustration or the silence of an empty plate. I need you to rub your belly then your hands together and eagerly anticipate the next course to come. But first I need to establish some ground rules for this conversation so that we can see each other in a new light, candlelight perhaps with the soft glowing edges and the warmth of good natured humor served like gravy. My friends, I gather you today to first offer you my hands. I offer you my hands in service because you’ve offered yours to me or to others. I’ve seen the example you set and I wish to embrace your hand with my own. I wish to mimic that which I have learned at your knee. I wish to give to those who have less than I do. I wish to hug those who need comfort. I wish to press my hands against the faces of those I love, you and my neighbors (even when this is far too difficult to do) with gentle caresses of: “I’ve been there too.” “I can help you.” “Let’s do this together.” I will share my hands. My dear ones, I bring you with me to give a part of my spirit to each of you. I offer you my spirit so that you know you’re not alone. I offer you that place you can put your woes and troubles without having someone try to fix you or the situation. Even though I may try, I know, as you do, that I can only offer support while you learn how to live your life. We all do this. We all try on things our spirit can’t handle and mine has worn many hats. I will shine for you when the night in your heart is so dark and you feel you’ve lost your way. I can be your lighthouse. I can because you’ve asked. I can be your champion because you require it of me. And when you’ve used what you need and what I can give to you, we will continue on our paths, better for the adventure we’ve shared spirit to spirit, step by step. I will give you parts of my spirit. My beloved ones, I am delighted that you join me at the table of love. I offer you my friendship wearing the face of devotion that love gives me. I do, however, need to remind you that I am, like you, human. I will do my best to give to you the love my heart has for you. Even if I don’t understand, if you come to me with troubled heart, my arms will open to shower you with encouragement because love, to me, does that. It shows me that I am beautiful. It shows me that I am worthy. It shows me that I have more strength than I imagined. It shows me that even with all my lumpy bumpy bits, I am destined to become the best version of me just as you are to become the best version of you. There isn’t a linear timeline to dictate when you will be this mythical you or the fantasy me. Sometimes we are everything we’re meant to be, other times we are striving to gain our footing. I will love you through it because I need/want/have to and I may/may not have regrets about it, but that’s my battle, not yours. I will give you love. My sisters and brothers, this sounds like a zombie idea, and maybe it is, but I will gift you my intellect. My ideas, ideals, thoughts, knowledge, and wisdom are yours to rifle through like a high-end second-hand sale. My ideas because they may help you stride forward in your world and people don’t forget that. My ideals because Utopia can only occur if we continue to strive for an unobtainable perfection that I see with my Spirit Eyes from the Otherwhere. My thoughts because sometimes they share with me a place that seems wacky, outrageous, and naked as a jay-bird but filled with mischief and delightful daring that presses forward into the mundane world with colorful prances of pretty playgrounds the world is renowned for owning. My knowledge because I read less than I should but more than others. I try hard not to just scratch the surface on things that interest me because it’s when you’ve dug down through the facts and seen both sides of the story that you can figure out the truth in your own mind. You can make your own decisions. I will try to help by maintaining as accurate of a log in my mind to share with you. If I don’t know, I will find the answer or we can seek it together. We can learn from/with one another. My wisdom I also offer because I’ve made a lot of bad decisions that gave me perspective on so many of the defined nouns and yet they are but a drop in the bucket of what this world has available. I query everything and everyone to discover the secrets it/they hold(s) and I’m rarely disappointed. I invite you to share your intellect with me. I will gift you with what treasures my vessel has accumulated so we can fill one another with knowledge. And if, as I intended at the beginning of our “meal” together, we push back with a burp and smile at one another with a peaceful parting of ways, then that we’ve broken bread together makes my heart happy. I wish for you peace, blessings, and the pursuit of your own bliss, for when we are together in whichever capacity we are kind enough to share, then I know we will both and all be better for it. Please pass on the bread of life sugared and spiced exactly right for you and for me. Peace and light to you my dear friends. I wish you a fond good life.